China’s railway sector is projected to grow at an average 2.8% from 2019-2027 thanks to an increase in public-private partnerships (PPP) despite their limited usage, according to a report by Fitch Solutions. China’s PPP programme has been criticised for the lack of involvement of private players amidst an infrastructure boom across all sectors in the past decade, with state-owned enterprises or private partners with links to the government dominating the project pipeline. As a result, the local government’s ability to directly finance costly infrastructure projects will be reduced, prompting the central government to turn to PPPs to counterbalance the funding gap created by the decrease in LGFV usage. According to the report, only five out 42 high-speed rail projects and four out of 133 metro and light rail projects were earmarked as PPPs. “Even then, these PPPs are mostly public dominated, with state-owned enterprises (SOEs) such as China Railway Corporation and China State Construction Engineering Corporation spearheading projects,” Fitch Solutions highlighted. Whilst railway projects were once perceived as risky, the Hangzhou-Taizhou high-speed railway project which was awarded to a consortium led by private Chinese conglomerate Fosun Group marks a turning point for the country’s railway PPP programme, the report noted. However, Fitch Solutions noted that foreign companies may continue to find PPPs in China inaccessible due to the business environment in China, further suggesting that when such opportunities rise, they will be limited to private Chinese enterprises in the short term. The rapid development of China’s high-speed railway network is expected to continue in the next 10 years as the government focuses on the growth of less developed regions. 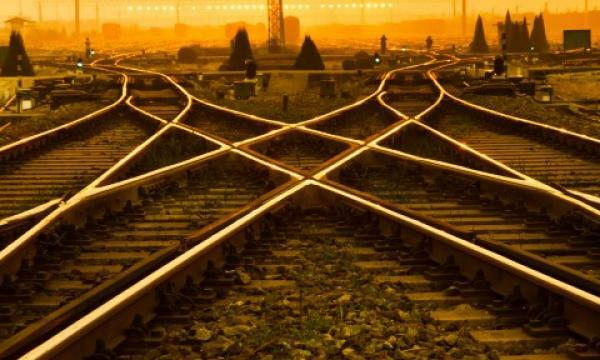 “The current network of 27,000 km is set to be expanded by 40% to 38,000 km by 2025 through the ‘Eight Vertical, Eight Horizontal’ high speed rail network grid,” Fitch Solutions added. The expanded grid is expected to improve inter-city connection with routes planned between second and third tier cities such as Hohhot and Yinchuan in the north and Nanchang and Fuzhou in the south.